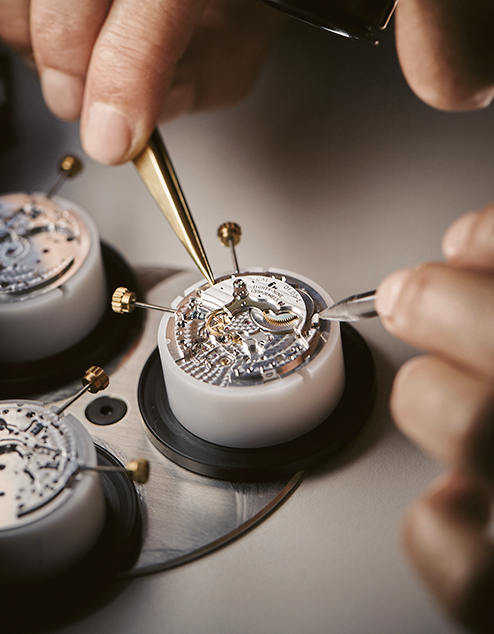 Since its founding in 1860, Chopard has perpetuated a heritage of artisanal skills and traditional crafts by shaping contemporary creations synonymous with emotions. Guided by a resolutely positive vision of life, the Maison celebrates the precious moments of accomplished men and women around the world for whom watches and jewellery are a perpetual extension of their own joie de vivre. 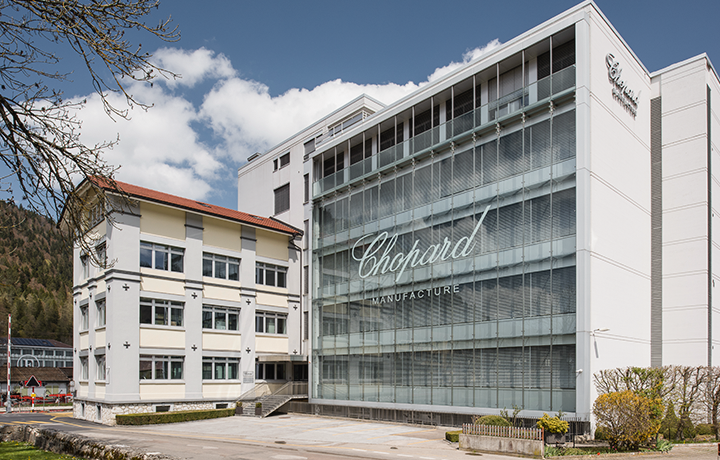 In line with its vision, Chopard acts through the prism of three central elements: craftsmanship, ensured by the work of passionate Artisans who are experts in their respective fields; abundant and generous creativity, that enables each and every individual to find the precious objects most attuned to their own nature; and finally, ethics. Strongly involved in the strategic choices of the Maison, the Scheufele family believes that grand contemporary luxury must necessarily be ethical and responsible. It was for this reason that in 2013 Caroline and Karl-Friedrich Scheufele, co-presidents, launched the Journey to Sustainable Luxury, leading in 2018 to an announcement of the Maison to commit to use 100% ethical gold in producing all its watches and jewellery. Today, the family Maison employs more than 2,000 people worldwide. It is independent and highly vertically integrated, controlling the entire process from design to distribution through 15 subsidiaries, 1,200 points of sale and more than 160 dedicated boutiques. Over 50 different crafts are practised in three manufacturing sites with a strong emphasis on in-house training and transmission. 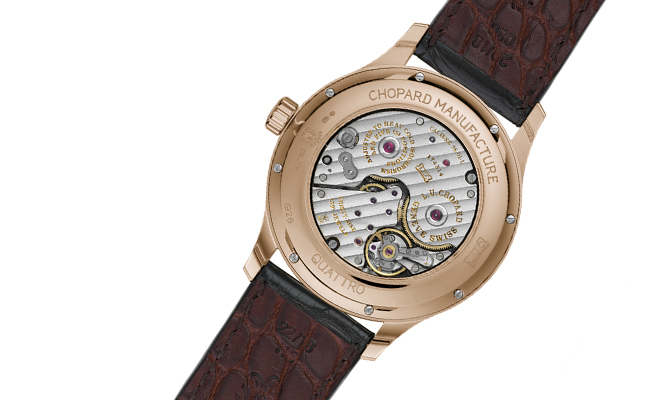 Chopard’s expertise in Fine Watchmaking is acknowledged in the L.U.C collection, a line of exceptional timepieces crafted for contemporary gentlemen. The company is highly recognized for Haute Joaillerie creations such as its Red Carpet Collection, Green Carpet Collection and the exceptional Garden of Kalahari Collection. 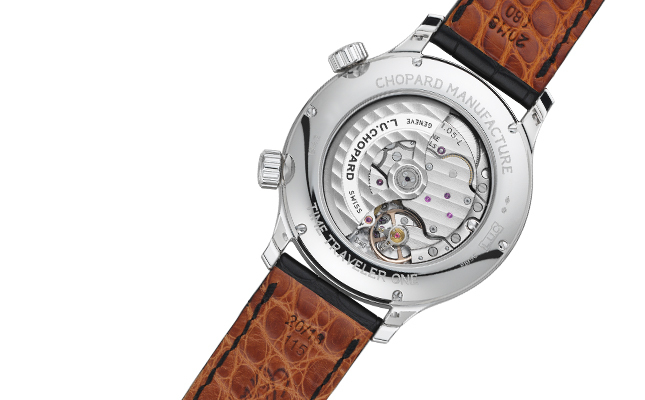 Chopard has also built its reputation on iconic collections of watch and jewellery like “Happy Diamonds”, “Happy Sport” and “Mille Miglia”. 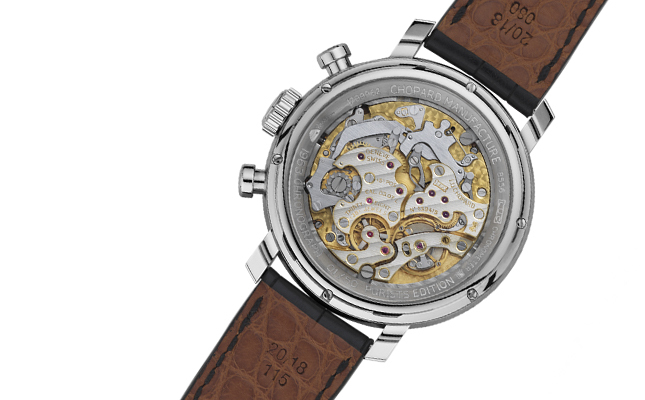 Winner of the Aiguille d’Or (Best in Show) prize at the 2017 Grand Prix d’Horlogerie de Genève, the L.U.C. Full Strike is adopting a new colour. 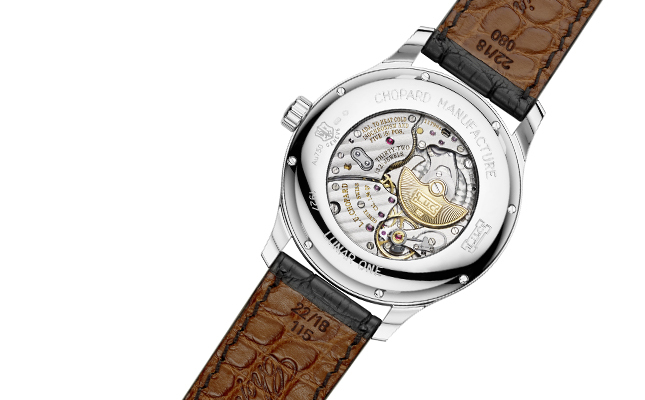 This fresh interpretation clothes Chopard’s first minute repeater watch in handsome shades of grey, whilst not losing its technically revolutionary character, notably expressed by striking the hours, quarters and minutes on sapphire gongs. The L.U.C Perpetual T is the epitome of Fine Watchmaking according to Chopard and now comes in a 18-carat rose or white gold version. The nobility of its horological complications and the superlative refinement of its decorations, together with its discreet sophistication, sum up the highest standards integral to the legacy of Louis-Ulysse Chopard. Its tourbillon rubs shoulders with an extremely readable perpetual calendar in a watch characterised by its elaborate aesthetic appeal. Chronometer-certified by the COSC and bearing the Poinçon de Genève for the quality of its craftsmanship, the L.U.C Perpetual T is more than a mere demonstration of watchmaking mastery. It is a distinguished and functional watch designed for daily living. The refined, exclusive and ultra-complicated new L.U.C All-in-One from Chopard encompasses 14 indications on its two faces, including extensive calendar and astronomical functions, as well as a tourbillon. 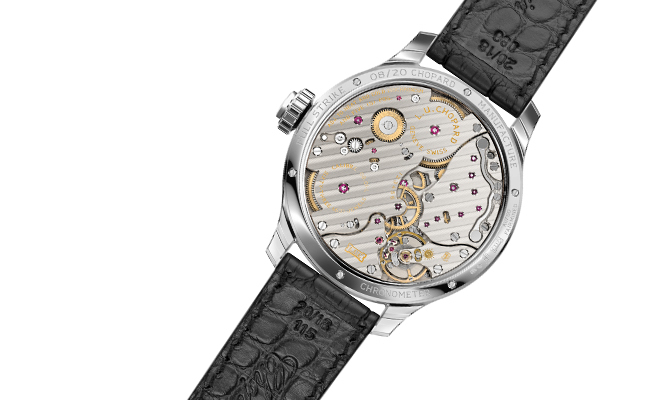 It is issued in two limited series of 10 in platinum and 10 in 18-carat rose gold, all bearing the Poinçon de Genève. It smoothlessly combines extreme complexity with the assured and distinctive elegance of the L.U.C collection. A watch endowed with refined details and colours, the L.U.C All-in-One embodies the peak of Chopard’s in-house approach to watch manufacturing, a distillation of exclusive craftsmanship. while meeting the highest technical ethical and aesthetic standards. Issued in two series, of 20 pieces in Fairmined certified ethical 18-carat white gold and in Fairmined certified ethical 18-carat rose gold, it is intended for watchmaking connoisseurs and devotees of exceptional time pieces. Chopard’s perpetual calendar model with astronomical moon-phase display appears attired in 18-carat rose or white framing a sunray-patterned dial. The Manufacture’s vision of extreme horological complexity is thereby treated to a rare, precious and extremely elegant interpretation bearing the Hallmark of Geneva. This was not a call for fantastic or costly ‘blue-sky’ complications but a pure distillation of the function and form of a chronograph that could survive the vagaries of time and fashion. 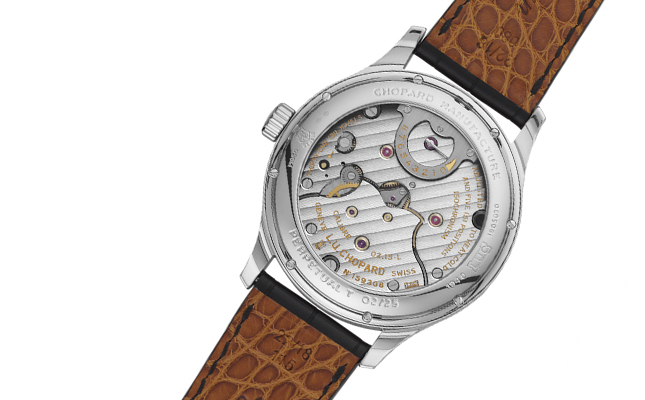 Chopard presents a new L.U.C Quattro model, beating to the rhythm of one of the greatest success stories of Chopard Manufacture, the four-barrel L.U.C 98.01-L movement launched in 2005. This new elegant and refined interpretation comes with a rose gold case framing a brown dial. 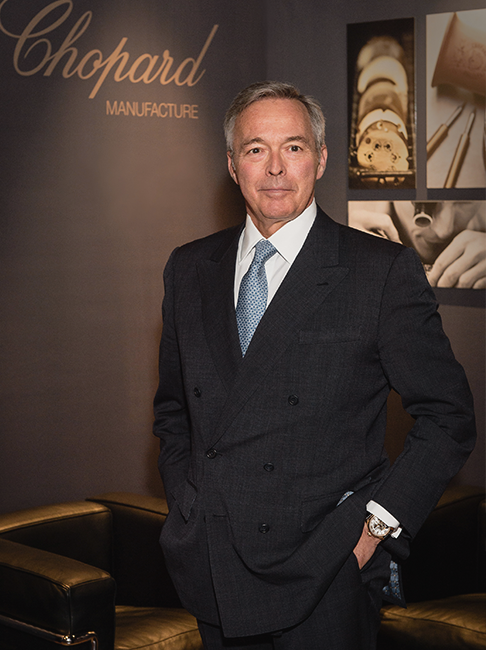 It is bound to delight devotees of Haute Horlogerie as well as those with a penchant for distinctive design. 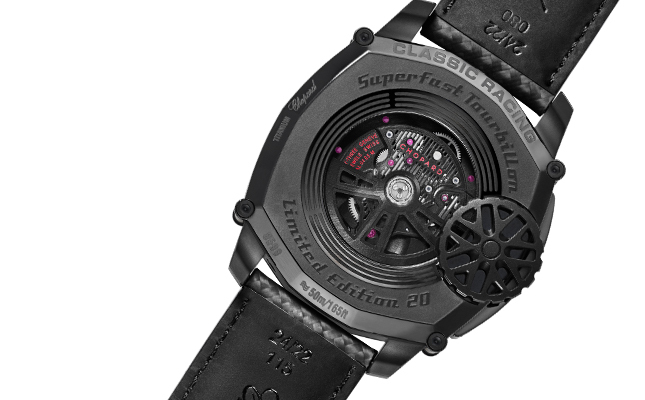 A new case, a new movement: the Superfast Tourbillon is a watch brimming with firsts. 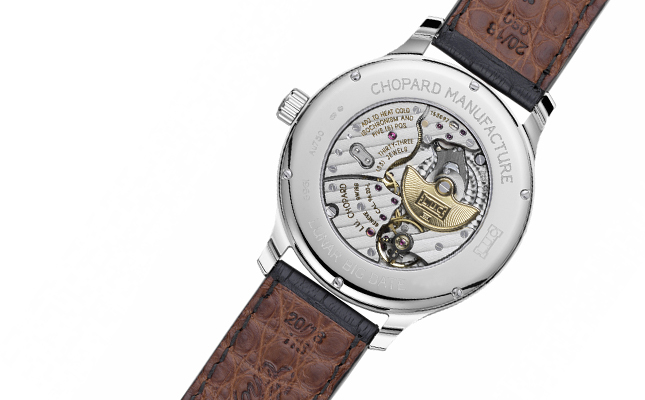 Designed in the spirit of the partnership with Porsche Motorsport and in particular, the car brand’s 919 Hybrid, the first Chopard self-winding tourbillon chronometer is a tribute to the records repeatedly set by the German team. With its unusual calendar functions, its invisible back-fitted crown, its ultra-light weight and its supremely contemporary design, this 20-piece limited series continues to push the limits of Chopard Manufacture. The first worldtime watch in the L.U.C collection, the L.U.C Time Traveler One is the ideal tool for the globetrotting lifestyle. By simultaneously tracking track the time in every zone across the planet, it enables the wearer to keep an eye on what’s happening in all four corners of the earth. This refined object with its exceptional finishing is an indispensable instrument for the gentleman traveller. Chopard is reinterpreting a classic from its L.U.C Haute Horlogerie collections: the L.U.C Regulator model. It appears in a version combining the elegance of the new L.U.C case with the horological prestige of the Chopard regulator movement. In keeping with the grand tradition of precision clocks, the six indications on the L.U.C Regulator are separated to ensure optimal readability. The COSC certification as well as the Poinçon de Genève quality hallmark awarded to this new L.U.C watch testify to its high rating precision and fine craftsmanship. In addition, the L.U.C Regulator features subtle symmetrical effects representing a noteworthy aesthetic accomplishment. 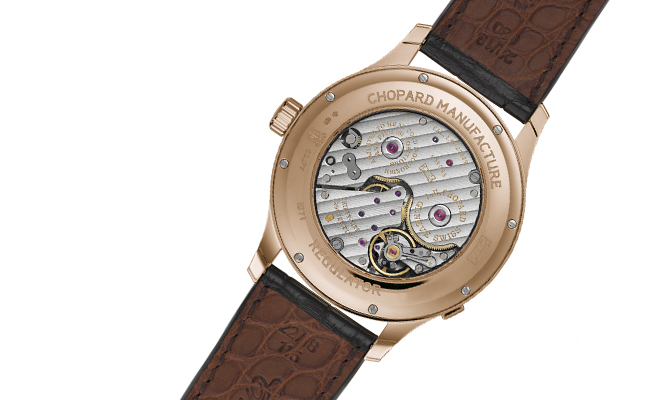 For over 20 years, Chopard Manufacture has been creating the watches composing the L.U.C collection: unique, finely crafted timepieces imbued with a resolutely modern touch while respectful of Swiss watchmaking traditions. 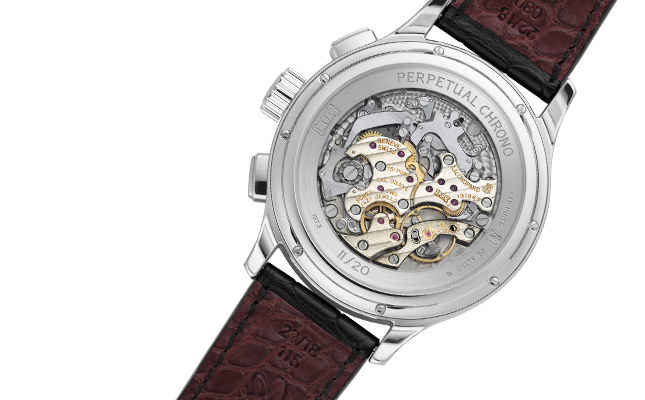 Chopard is once again shaking up the classic codes of complicated Haute Horlogerie by introducing the new L.U.C Perpetual Twin, an all-steel chronometer-certified perpetual calendar. 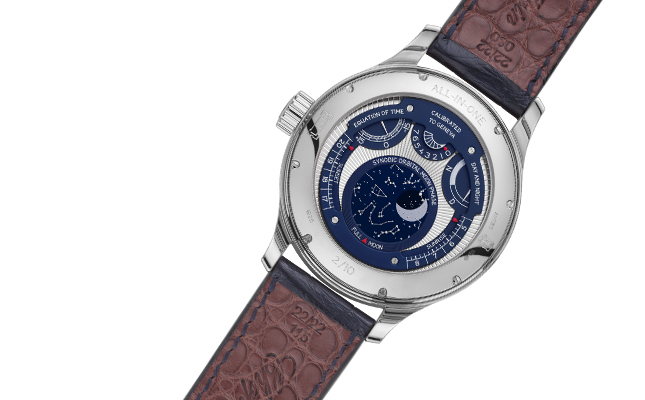 First launched in 2009, the L.U.C Lunar Big Date now gets a whole new glow by adopting the full design codes of the new L.U.C aesthetic; the moon phase is so accurate that the difference between the true lunar cycle and the indication given by the timepiece amounts to just one day every 122 years. An exceptional timepiece, available in 18-carat white gold.